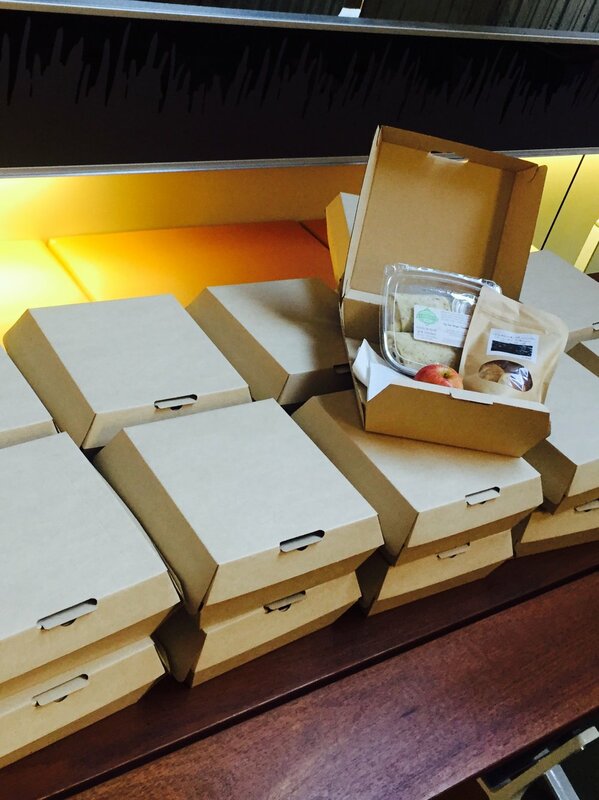 One of the easiest ways to support our work is by ordering food for your next meeting, event, or gathering. We have a wide variety of delicious options, including awesome lunchboxes and buffet style arrangements! Want to place an order? Call us at 313-444-5027 or email us at getfresh@freshcornercafe.com. Or fill out the form below! Let’s build a more just and equitable Detroit together! Choose from any of our deliciously fresh salads or wraps and combine with a bag of chips, piece of fruit, and/or cookie. Can't decide? 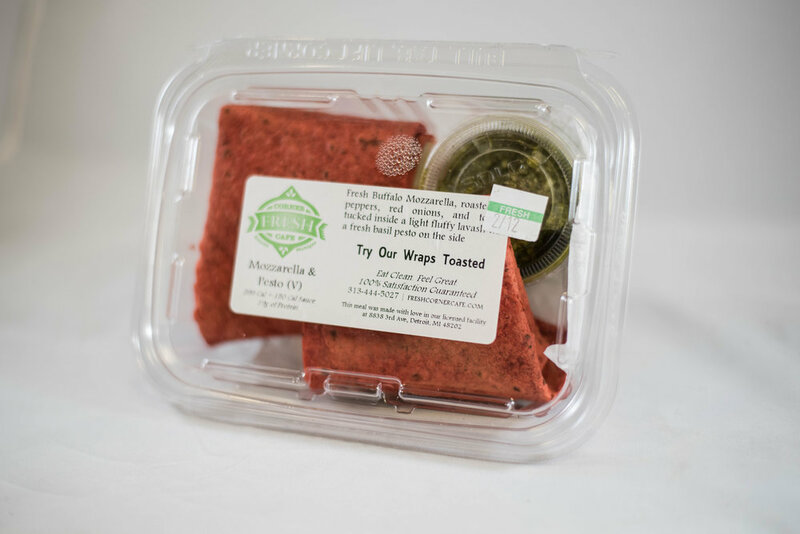 Try our Half Salad + Half Wrap. Choose the Lunchbox Special for 1 side and the Lunchbox Plus for 2. Smoked turkey breast, tomato & fresh romaine with our house-made honey Dijon mustard on the side. Smoked turkey breast, mild peppers, pepper jack cheese, tomato, red onions & romaine with a lite Tabaso Mayo on the side. Jamaican style chicken breast, tomato, red onion and fresh romaine with our flavorful garlic herb mayo on the side. Seasoned chicken breast, tomato, red onion and fresh romaine with a creamy Caesar dressing on the side. Seasoned chicken breast, fresh mozzarella, spinach, and tomato with a zesty red pepper sauce on the side. Spinach, banana pepper, carrot, and feta coated in hummus with Frank's Redhot on the side. Fresh buffalo mozzarella, roasted red peppers, red onions, and tomato slices with a fresh basil pesto on the side. 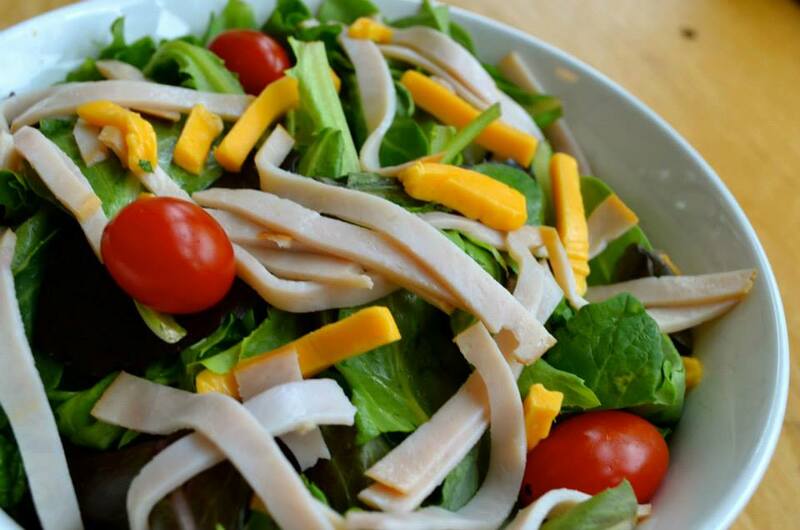 Smoked turkey breast, shredded Swiss & cheddar cheese, and cherry tomatoes on a fresh bed of romaine and spring mix greens with a creamy ranch dressing on the side. Seasoned chicken breast, carrot, pepper, and cherry tomato on a fresh bed of romaine and spring mix greens with our sweet & spicy Thai ginger dressing on the side. Chicken breast, tomato, croutons, and parmesan cheese on a fresh bed of romaine & spring mix greens with a creamy Caesar dressing on the side. Gorgonzola cheese, cherry tomatoes, toasted walnut, and dried cranberries on a fresh bed of spinach and spring mix greens with our house-made balsamic vinaigrette on the side. Want to go the extra mile and impress your guests with a burst of scrumptious Detroit flavor? Swap that bag of chips for Detroit Friends' authentic farm-to-table potato chips. Or maybe you want an all-natural granola bar made by the Detroit Food Academy. Just select a main then complement with a small batch snack made right here in our tasty city. Your guests will thank you! PLEASE NOTE, ORDERS MUST BE MADE WITH A MINIMUM 72HRS NOTICE. IN THE FORM BELOW, SUBMIT DETAILS ABOUT YOUR catering inquiry. Please INCLUDE DELIVERY LOCATION, DATE & TIME.